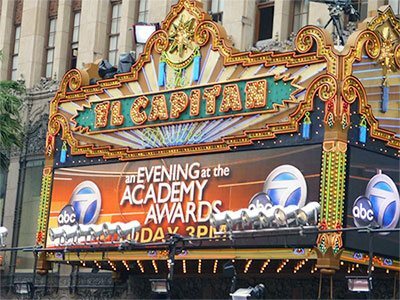 Located in the heart of Hollywood, New York Film Academy Los Angeles offers acting, film and media degrees, programs and workshops in a variety of visual storytelling disciplines, providing students with endless opportunities to master the basics of the film and entertainment industries. Surrounded by the best film studios in Los Angeles — Universal and Warner Bros. — students participate in hands-on production workshops, shooting their projects on the prestigious Universal Studios backlot. 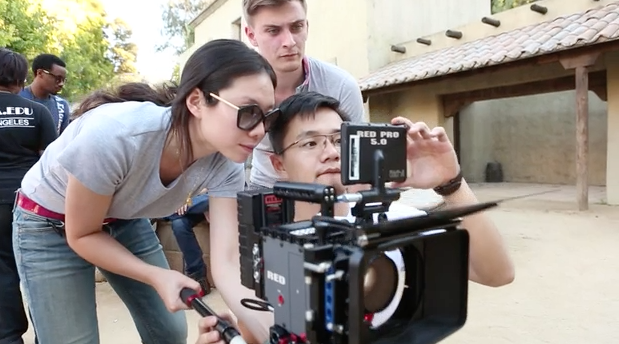 At the heart of the NYFA Los Angeles film school is the philosophy of learning by doing. From day one, students are behind the camera or working on software to create their own original works of art. In every film degree course offered on our Los Angeles campus, students receive hands-on education from our prestigious faculty through a combination of in-class lectures, supervised workshops and student-guided projects. Upon completing a film program or workshop at NYFA Los Angeles, students earn either a New York Film Academy degree* or certificate, depending on the type of program completed. In addition, their work is displayed in an event open to family and friends. Selected industry guests are also invited to showcases for long-term and degree programs. In addition to receiving a world-class education at the NYFA Los Angeles film school, students also get the added benefits of studying and working in Los Angeles. Located in the Burbank area of Los Angeles — known as the “Media Capital of the World” and home to such institutions as NBC, Warner Bros. Entertainment, and The Walt Disney Company — students are immersed in the heart of the entertainment industry and are encouraged to take advantage of Los Angeles’s film opportunities. During their time at the NYFA Los Angeles film school, students can form innumerable and advantageous ties to the entertainment industry. Students can also expect excellent weather, a rich and multicultural populous. For their individual films, students shoot in Los Angeles, one of the most diverse cities in the world. One of the attractions of Los Angeles for the film industry has been the city's incredibly varied landscape, from seaside to desert to mountain slope and fruit grove, making it the ideal location for a NYFA film school campus. Filmmaking students might film a spy-thriller in snow-capped Mount Baldy in the morning, and a surf-comedy in the afternoon — all in one day. The NYFA Los Angeles film school also offers personalized study experiences, depending on each student’s area of interest. No matter your chosen discipline of study, Los Angeles is a wonderful place to study the visual and performing arts. For example, screenwriting students can check into the Writers Guild of America library to read original scripts that can’t be found on the internet. Acting for film students can study performance during the day, and then see a live television studio recording that same night, while production students can network with an entire city devoted to film production, developing roots in the city that shapes the industry itself. 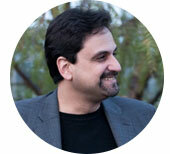 NYFA Los Angeles’ faculty members are active professionals in Los Angeles. In addition to supporting their students as professors, our faculty work in the city's many entertainment hubs as professional filmmakers, actors, photographers, game designers, VFX artists and more. This equips NYFA Los Angeles faculty to provide hands-on instruction to students in the most up-to-date information, techniques, and trends through in-class lectures and workshops. 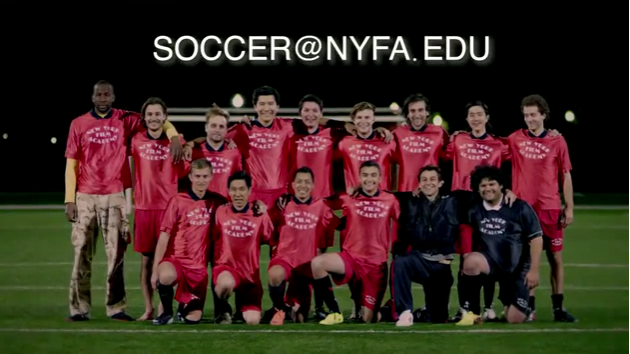 The graduate and undergraduate degree programs at the NYFA Los Angeles film school have a rolling admissions process. For specific admissions criteria, please refer to the admissions requirements page. The NYFA Los Angeles film degree programs are extremely intensive, so students who enroll should be prepared to live and breathe their work during their course of study. At the conclusion of all NYFA Los Angeles film programs, there is a graduation ceremony and final presentation of student work. The presentation includes all final films, showcase performances, and screenplay readings, providing a unique opportunity for family, friends and cast members to see the work the students have produced. Students also retain digital master tapes of their final film and video work to include in their professional portfolios. The NYFA Los Angeles film school campus offers numerous extracurricular activities for students, both through the Academy and within Los Angeles itself. The NYFA Los Angeles Athletic Department provides opportunities for students to compete in athletic programs, such as men's and women's basketball, soccer, and volleyball, in addition to kendo, hiking, and fencing clubs. The Athletics Department allows students to cultivate positive relationships with other students, enhancing networking through camaraderie and valuable life skills through our Athletic Leadership Development Program. In addition, by studying in Los Angeles, students have access to a host of cultural activities such as film screenings, concerts, clubs, dining, shopping, museums, and much more. The NYFA Los Angeles film school offers a variety of programs for prospective students interested in various aspects of film and media studies. The Course Catalog provides further information detailing our many film and t media programs open to all prospective students. While there are no NYFA-run dormitories on the Los Angeles film school campus, there are approximately 20 apartment complexes near our campus where our students typically stay. Most apartments are within a 2-3 miles radius -- close enough for students to walk to and from. Price ranges can vary depending on location and amenities. For a list of these apartments, please contact LAHousing@NYFA.edu. The NYFA Los Angeles housing coordinator can help students find private housing, and also maintains a roommate list that students can use to get in touch with one another. Due to NYFA Los Angeles’s convenient location, students can find a variety of apartments within easy driving distance of campus. For additional information on finding suitable housing,contact us at +1 (818) 333-3558, or email our Los Angeles housing coordinator at LAHousing@nyfa.edu. The New York Film Academy is approved to operate by the California Bureau for Private Postsecondary Education (BPPE) “Approval” or “Approval” or “approval to operate” means that the institution is compliant with the minimum standards contained in the California Private Postsecondary Education Act of 2009 (as amended) and Division 7.5 of Title 5 of the California Code of Education. See New York Film Academy's 2016 School Performance Fact Sheet for the Los Angeles Campus and the New York Film Academy – BPPE 2016 Annual Report for more information. (916) 431-6959 or by fax (916) 263-1987. Film School: Widely known as the most hands-on film school in the world, students in the NYFA Los Angeles film school program receive extensive on-set experience not only by writing, shooting, directing, producing, and editing their own films, but also by trying every position on the film set to best prepare them for the realities of the entertainment industry. Acting School: Students in the acting for film program learn the many facets and intricacies of acting for film by getting hands-on experience by actually performing in the films of their fellow classmates, as well as receiving personalized, professional instruction and feedback from faculty members. Because performance is an art that requires actors to create something both believable and memorable, students enrolling in our performing arts school learn the craft of acting for film, developing their skills to become master performers for the screen. Photography School: Students enrolled in one of our photography school workshops or programs gain extensive experience across the wide spectrum of photographic genres, instructed under the tutelage of active professionals currently working in the photographic field. Producing School: In this program, students work with professional producers to learn the creative and business skills required to be a successful producer. 3D Animation & Visual Effects School: With 3D animation growing in prominence every day, our BFA* program emphasizes this growth by immersing students in the world of 3D animation and visual effects, giving them a thorough and practical education in the fundamentals of animation. Game Design School: Students in NYFA’s game design programs learn the essentials of bringing their game ideas and stories to life, while studying and gaining experience in the different genres of video games. Documentary School: There’s a reason Independent Magazine has ranked NYFA among the Top 10 Documentary programs. At NYFA, we require documentary students to jump into real lives and true stories by putting them behind state-of-the-art cameras and in real-world situations, from the very first day of class. Screenwriting School: Screenwriting is the backbone of filmmaking, so students in this program get constant practice in learning how to shape an idea into a working script as well as the fundamentals of the craft. 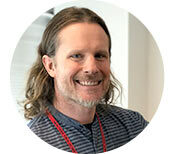 Digital Editing School: In this program, students learn both the foundation of editing and how to experiment with novel ways to edit using digital editing stations. 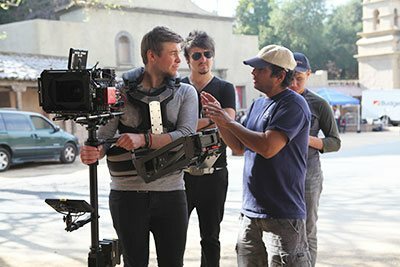 Cinematography School: This program teaches students looking the technical and aesthetic demands required of directors of photography, providing them with extensive experience shooting with both film and digital cameras. Performing Arts School: As performing arts focuses on the individual and his or her ability to create a believable and memorable performance, students enrolling in our Performing Arts School learn the craft of acting for film and develop the skills to gain mastery as a performer. Graphic Design School: With graphic design becoming more prevalent and in-demand than ever before, students in this program gain the skills needed to break into this growing field. Over the hill and through the Cahuenga Pass is Universal Studios, where the Desperate Housewives act out their operatic lives on the same street where Leave it to Beaver played pranks and the fraternity brothers of Animal House got themselves into a heap of trouble. Here is where Michael J. Fox zoomed through the town square in that sleek silver DeLorean to get Back to the Future, and where Steven Spielberg's Dreamworks created everything from War of the Worlds to American Beauty. Nothing “regular” at all is going on inside the Universal Studios Headquarters. This is where the movie magic happens, where Focus Features, the “little company that could,” brought us Oscar winners like Brokeback Mountain, Eternal Sunshine of the Spotless Mind, and Lost in Translation, resides. Here is where Stephen Soderbergh and George Clooney housed the production offices for Ocean's Eleven, and where the production departments for Minority Report, Sea Biscuit, The 40 Year Old Virgin, Live Free or Die Hard, and countless others brought their visions to the silver screen. It is also where students at the New York Film Academy are learning what it takes to be the directors, screenwriters, actors, producers, cinematographers, and editors of tomorrow. Here, in the heart of the film industry, our students study their craft, develop their projects, and take advantage of the exciting array of opportunities at their fingertips. Within the backlot of Universal Studios our students shoot on the same sets where film history is made. Be it the sprawling backdrop of Western Street or the edgy city streets of New York, the backlot of Universal Studios presents the filmmaker with locations as varied as their imaginations. Universal Studios is one studio with which the New York Film Academy has a special relationship. 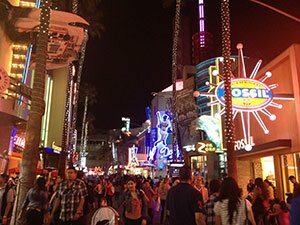 Since the Academy is located by the backlot of the Universal Studios, students have the unique opportunity to witness the importance of “studio life” to the Los Angeles area first-hand. Students also get the one-of-a-kind experience of shooting on the Universal Studios backlot, which many people can only see if they take the famous Backlot Tour. On March 15, 1915 Carl Laemmle (LEM-lee) “officially” opened the gates of Universal City – though film production on the lot had begun in 1914. Laemmle also established the long-standing tradition of inviting guests to view the behind-the-scenes work. However, in the 1920s when “talkies” became the norm, producers were adamant that the sets be free of visitor's noise. The Universal Studios Tour was brought back in 1964. Universal Studios, with its theme park, is the largest studio/theme park in the world. In fact, it is so large that it is a city unto itself with its very own zip code (91608), fire department, hospital, restaurants, shops and hotels. A person would never have to step outside the Universal City grounds. Some of Universal's most historic or notable films shot on the backlot are: The Hunchback of Notre Dame (1923), The Phantom of the Opera (1925), All Quiet on the Western Front (1930), Psycho (1960), Jaws (1975), Jurassic Park (1993), The Mummy (1999), War of the Worlds (2005) and The Good German (2006). Los Angeles and its surrounding areas boast many famous and beautiful performance venues. While in California, students should take the opportunity to experience a show at any one of the following. One of the most recognizable venues in Southern California. It is a natural occurring, open-air amphitheater that seats approximately 18,000 people. 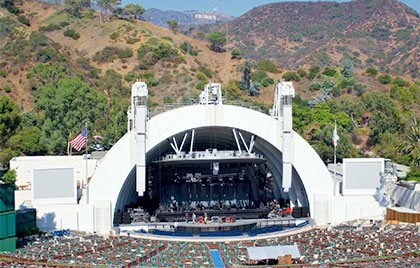 It was “built” back in 1922 and, in addition to providing the summer home of the L.A. Philharmonic, some of the most famous performers of all time have graced its stage. To name a few: Oasis, The Mamas and The Papas, The Grateful Dead, Morrissey, Cher, Frank Sinatra, The Beatles, The Who, Nine Inch Nails, Fleetwood Mac, Belle & Sebastian, Def Leppard, Ben Harper, Willie Nelson, Queens of the Stone Age, Gwen Stefani, Arcade Fire, Radiohead, The Flaming Lips, Coldplay, Aerosmith, Mötley Crüe, Ryan Adams, Sigur Rós, Ozomatli, the Doors, Patsy Cline, Bob Dylan, Elton John, Pink Floyd, Roger Waters of Pink Floyd, Rush, Monty Python, Judy Garland, Daniel Rodriguez, A. R. Rahman, and Johnny Cash have given famous or noteworthy performances under the shell. There is always something happening at the Bowl. Formally known as the Universal Amphitheater, it was an open-air theatre over a decade ago, but now it has covered seats that spread over a main orchestra level and mezzanine. 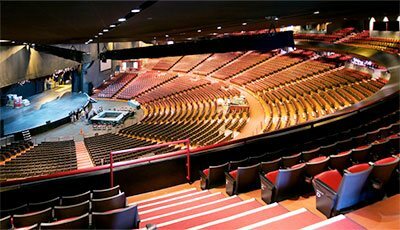 The Gibson Amphitheatre has played host to a number of performers and award shows including the Brian Setzer Orchestra, the Teen Choice Awards, Carlos Mencia, and George Lopez. A striking Frank Gehry designed acoustical and visual masterpiece. It serves as the new home to the L.A. Philharmonic and is touted as one of the finest concert halls in the world. Home of the Los Angeles Lakers, Kings, and Clippers. This has also recently become the place for big-name entertainers to perform. 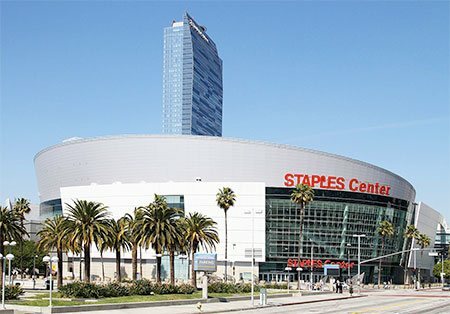 Other large-scale venues are The Arrowhead Pond (home of the Anaheim Ducks), the Greek Theater, Los Angeles Convention Center, Verizon Wireless Amphitheatre, and The Home Depot Center. Think of Los Angeles's art scene as a vibrant location filled with burgeoning stars, avant garde directors and imaginative young writers. Movie premieres and the theatres in which they're held are touted just as much as the movie itself. Classic movie palaces and state-of-the-art auditoriums can be found everywhere. For a little change, toss the movie tickets aside one night and check out the Los Angeles theatre scene and catch a live show. Once home to vaudeville and Oscars, the Pantages Theatre is an Art Deco masterpiece with an eye for high-profile productions and musicals. This infamous Los Angeles theatre, opened over seventy years ago in 1927, is one of Los Angeles' most famous theatres, especially for the impressions-in-concrete left by Hollywood's stars out front. 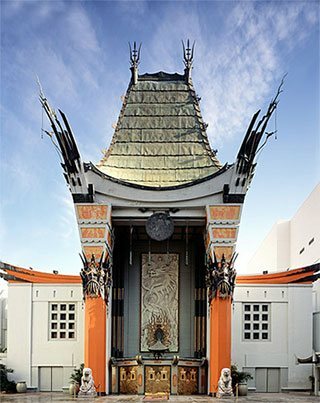 Aside from all the Hollywood history, the Chinese Theatre shows first-run movies. One of three theme theatres actualized by Sid Grauman and Charles Toberman, the El Capitan Theatre was Hollywood's first home for “Spoken Drama” (opened in 1926) and the Los Angeles theatre to premiere Orson Welles' Citizen Kane in 1941. In Griffith Park, molded into a canyon, the open-air Greek Theatre shows live music under the stars. Part of the Los Angeles Center Theatre Group, along with the Mark Taper Forum, the Ahmanson Theatre is a 2,000-seat marble complex in downtown Los Angeles that hosts productions like the Phantom of the Opera. 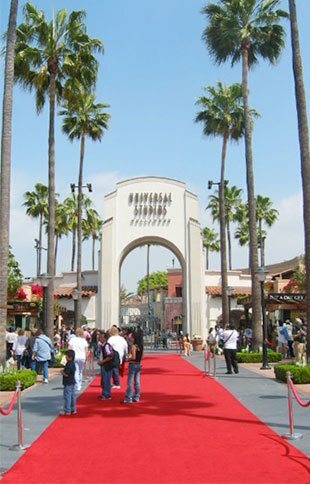 Near Universal Studio Walk in Los Angeles, Audiences Unlimited represents over 35 network comedies filmed in Los Angeles and offers free tickets to anyone wanting to be part of the studio audience. 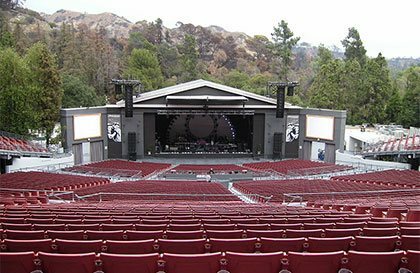 The Ford Amphitheatre is an open-air performance art venue (one of the oldest in Los Angeles) set on 45-acres in the rustic Cahuenga Pass and showing dance, music and plays. The new home of the Academy Awards, Hollywood's modern and technologically-advanced Dolby Theatre shows large-scale ballet, dance, and musical productions, including the Full Monty and Joseph & The Amazing Technicolor Dreamcoat. A small theatre located in the Performing Arts Center in downtown Los Angeles, the Mark Taper Forum has a community-conscience, working to involve youth, and funding programs for African-American, Asian-American and Latino playwrights. A distinguished Los Angeles theatre, two of the Mark Taper's productions have received Pulitzer Prizes for Drama, an honor historical reserved for New York theatre. Los Angeles' Actor's Gang's Ivy Theatre, a theatre company co-founded by Tim Robbins, is known for community involvement and important theatre. CETL recognizes that personal development is just as important as professional development. We have put together workshops on stress management, meditation, and even hiking excursions to serve as a release from our daily routines. Every fall, CETL will hold a two-semester long FLC, where a select group of instructors will gather to learn and grow together through research, trial and error, and excursions to conferences and panels. Throughout the course of the two semesters, members of the FLC will also present their findings to their peers through various workshops. Finally, while learning and development is key, so is community building. In bringing together faculty from different NYFA departments, it is hoped that bonds and bridges will be created that did not previously exist. CETL is always available to meet with you to assist in any of your needs. Whether you have logistical questions about campus or need advice on navigating a difficult classroom situation, CETL is here to help. Contact us to set up a time to talk. It is CETL’s goal to offer a safe and welcoming space for instructors to be open and honest about any obstacles they encounter. That said, all CETL conversations are private and confidential. Please contact CETL at any time at LA.CETL@NYFA.EDU with any questions, thoughts, suggestions, or to schedule an appointment. Message from Art Helterbran, Jr. Without outstanding instructors, NYFA would not be able to provide the quality hands-on education that the Academy is known for. CETL recognizes that faculty success, within the classroom and within the professional arena, is vital for a rewarding student experience. While CETL works closely with NYFA as a whole to improve your teaching experience, ultimately, it is the feedback of the faculty that matters most to us. Whether you are a new instructor, a seasoned industry professional, or a senior educator, please contact CETL to find out how we can best help you achieve your goals here at NYFA and beyond. The New York Film Academy is a unique school, with a diverse student body and a faculty made up of working professionals. These two elements combine to create something exciting and an opportunity for all of us to do something wonderful. But this brings with it specific challenges. And that’s where the Center for Excellence in Teaching and Learning comes in. We want to provide our entire faculty with as much assistance as we can. Your job is to bring your vast knowledge and experience to our students. Our job will be helping you do so in a way that ensures those students get the most from your knowledge. The resources on this site, and the Center itself, are at your disposal as we all work together to build a new generation of diverse, ambitious, and talented young artists. The Hollywood Sign actually started out as an ad for real estate development. Before its current stage name, it read “Hollywoodland.” In 1973, the Sign was deemed an official historical monument. Another famous street where countless movie premieres happen. It is a great place for shopping, tourism, and spotting a star. The nightlife in Hollywood is found on the Sunset Strip. Cruise the strip and see one of the most heavily and costly advertised streets in the world. The famous stretch of road that follows the ridgeline of the Santa Monica Mountains. It offers a fabulous view of Los Angeles. Skirball will lead to Mulholland Drive. Take a right to go toward Hollywood. Take a left to go toward the San Fernando Valley. Please note that Mulholland Drive is a windy road and can become quiet narrow at times. Please keep your speed down to 20-30 MPH. There are many great places to pull over and enjoy the view that Mulholland Drive has to offer. Relax at the laid-back Hermosa Pier, take in the scene at Venice Beach, surf at Huntington or shop at Santa Monica. 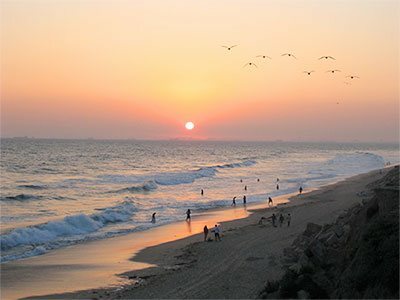 Each beach has its own traits and personality and the number of beaches in Southern California is only matched by their variety. Cruise Pacific Coast Highway and you can run into all of them. Third Street is a vibrant location only a few blocks from the famous Santa Monica Pier. The street itself is blocked off to traffic so plan on walking amongst the crowds that visit day and night. But coming here is a one-stop shop where you can watch street performers dazzle crowds, dine at some of the finest restaurants in the Los Angeles area, take in a movie at one of its many theatres, dance at a local club, relax at a local bar, or shop the night away at myriad stores. Some people just come to people-watch. 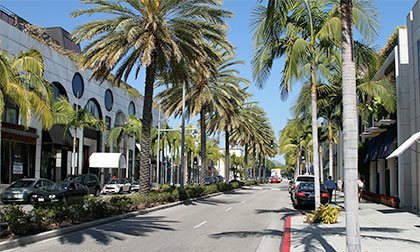 The stretch of shops and boutiques on Rodeo Drive is only three blocks long. 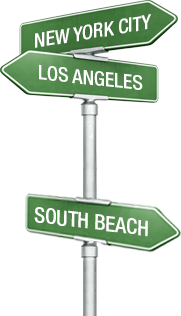 It begins at Wilshire Boulevard on the south, and runs north to Santa Monica Boulevard, where the commercial section of the street gives way to an affluent residential neighborhood. But those three short blocks constitute the most famous shopping district in America, and probably the most expensive three blocks of shops in the world. It is here that the rich and famous do their shopping, and where tourists window-shop while trying to spot movie stars on the fabled street. As a filmmaker, getting to know your local independent music, and the venues at which they may perform, can lead to new inspiration for movie ideas and scores. The “sub-culture” of indie music has become an integral part of the Los Angeles culture, for LA is not only a city of dreams for actors and filmmakers, but musicians as well. 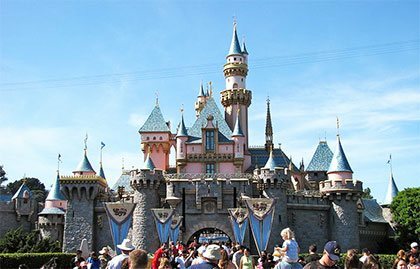 Disneyland: The world's most famous theme park is right here in Los Angeles backyard. Disney's California Adventure: Adjacent to Disneyland, it is the newest Disney Park in Southern California. Magic Mountain: If you're a thrill seeker, head north and partake in the legendary thrill rides at Magic Mountain. Knott's Berry Farm: Thrilling Rides and host of the famous Halloween Haunt-fest, Knott's Scary Farm. Pacific Park, Santa Monica: Located on the world famous Santa Monica Pier. A great place to relax and have fun. Universal Studios Hollywood: Right in the New York Film Academy's backyard, this is the World's largest Movie Studio and Theme Park. Experience LA: The events calendar is updated daily. Fairplex: Home of the Los Angles County Fair and more than 300 other events.